Are you in need of air condition repair Spring TX? It can be incredibly uncomfortable and potentially dangerous to be without an AC unit. During the summer months, in particular, the heat can be deadly. It is crucial to your family’s health that you keep your unit in good repair. Signs of damage include strange smells and sounds. You should also pay attention to performance. Never ignore any strange quirks or oddities. It can be difficult for some to find a reputable AC repair service in Spring, Texas. If you are new to the area, you may be unsure which companies are the best. No one wants to trust their family’s comfort and safety to just anyone. There are a few qualities you should keep an eye out for when looking for a repair company. They will help you find the best one for you. This can save you time and money and prevent a lot of stress. If you are in Spring, you can visit Houston Admiral Air Conditioning and Heating for your repair needs. They are available 24/7 and never charge hidden fees for any of their work. You can trust your family’s comfort in their very skilled hands. Each one of their technicians is licensed and certified. They also offer a 10-year warranty on both parts and labor. You can contact their friendly office staff by calling 281-876-9400. Prospective customers can learn more about their services by visiting them online at https://goadmiral.com. They are the best choice for your Spring, TX AC repair needs. Look for an AC repair service that offers warranties. A warranty might not be the first thing you think of when you consider repair. However, warranties can be invaluable. They can protect you against malfunctioning parts. Warranties almost always save you money in the long run. A company that offers these is one that stands behind their work. Companies that offer warranties typically offer amazing customer service as well. If possible, look for a repair service that offers a warranty on both parts and labor. Some will offer a limited warranty on parts, but offer no equivalent for labor. You should find a company that will stand behind their work as well as their parts. Remember that you are trusting your family’s comfort and safety to this company. You should demand excellent customer service in return. 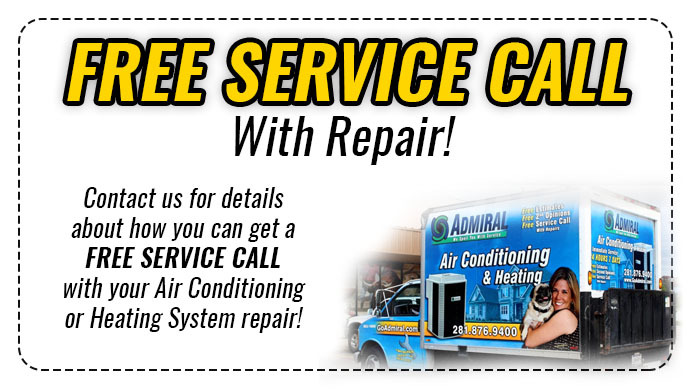 Residents of Spring can call Houston Admiral Air Conditioning and Heating for their repair needs. Houston Admiral is happy to offer all their customers 10 year warranties on both parts and labor. They want to be sure that you and your family are happy and comfortable in your home. Offering a high level of customer service is one way they achieve that goal. You can book an appointment by contacting 281-876-9400. You can also visit them online to learn more at https://goadmiral.com. You should also look for a Spring, TX AC repair technician with many years of experience. This helps them quickly and accurately identify and fix problems. You may pay more for a high quality service, but it will save you money in the end. Faster repairs mean that you and your family will not be without an AC unit for long. Companies that have been in business for a while usually have a very good reputation. Businesses that offer poor service or incomplete work do not often last long. You can always look up a company on the local Chamber of Commerce or Better Business Bureau websites. This can give you information about the company not available on their website. Alternatively, you can always ask the company you want to hire about references if you have concerns. Houston Admiral is proud to serve the Houston and Spring areas. They have done so for over 50 years, and still remain a family owned business. Customers can always reach a live voice by calling 281-876-9400. They are here to ensure that you and your family stay safe and comfortable in your home. Learn more about their services by visiting them online at https://goadmiral.com. Homeowners need air conditioning repair in Texas at all hours of the day. AC units often break outside of regular business hours. As such, it is a good idea to look for a company that has flexible service hours. You should try to find one that will not charge you a lot of money for after-hours calls. Be sure you ask about this information when you call. Some companies will charge hidden or extra fees that you do not know about until you see the bill. Be picky when you hire your repair company. Asking lots of questions can avoid these types of surprises. 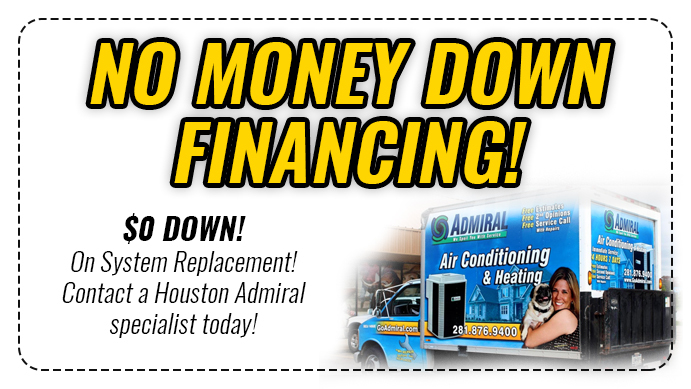 Houston Admiral is happy to offer all their customers 24/7 service without hidden fees. They will never charge you more for after-hours calls. Customer service is incredibly important to them. Houston Admiral wants to be sure that all of their customers are happy and safe in their homes. Offering the best air conditioning repair in the area is how they achieve that goal. You can learn more by calling 281-876-9400 or visiting them at https://goadmiral.com. If you are looking for air conditioning repair in Texas, contact Houston Admiral today. They offer their clients the best customer service in the area. You can trust your AC unit in their skilled and qualified hands. Homeowners can always reach a live voice by calling 281-876-9400. They are here to answer any questions you may have. If your unit needs to be replaced, they can also offer installation and consultation. Learn more by visiting them online at https://goadmiral.com. If you are looking for the best air condition repair Spring Texas, contact Houston Admiral.